Expo 2020 will create 500,000 jobs, with residents living in a large community within the city, according to the statement. The development was initially planned as an airport city to serve Al Maktoum International, the world’s largest greenfield airport development with a design capacity to handle 220 million passengers and 16 million tons of cargo per annum with five runways, six terminal buildings. The combined value of Expo 2020-related development projects has reached $33 billion (Dh121 billion), as the UAE begins the three-year countdown to the event, according to BNC Network. These projects include transport infrastructures, such as the expansion of the road networks, several highways, roundabouts, interchanges, and the Dubai Metro line set to connect the Dubai Expo 2020 site and Al Maktoum International to the rest of the city. According to BNC Projects, a project research firm, the $33 billion also includes mixed-use projects, golf courses, and residential, commercial, and hospitality developments. Mostly located at Dubai South, the 145-square kilometre mixed-use development with Al Maktoum International at its centrepiece, most of these projects are all expected to be completed before Expo 2020. “As it stands, Dubai is getting ready to host the Expo 2020 and the emirate is way ahead in terms of its readiness. The mega event is taking place in the Middle East for the first time ” said Avin Gidwani, Chief Executive Officer of BNC Network. “While driving past some of the major highways, one would notice the hectic construction activities on the highways and both sides of these highways, reflecting the pace of development work in the emirate. Most of the projects are on a fast-track basis, intended to expand the hotel inventory,” he added.Dubai South has been divided into separate functional districts, such as the logistics district, linked to Al Maktoum International to create a mega-cargo hub, which, along with the Jebel Ali Port and Jebel Ali Free Zone, will create one of the world’s largest sea-to-air logistics corridor. The 21 square kilometres long logistics district is designed to enable fast-cycle businesses and assist value-added services such as manufacturing and assembly. It also will host the Dh25 billion residential district, with a building capacity for 1,100 low to mid-rise buildings that cover a 715 hectares area and expected to accommodate 250,000 residents, when complete. The commercial district is expected to provide employment opportunities for an estimated 150,000 people. It will consist of over 850 commercial towers with three to five-star hotel lodging. 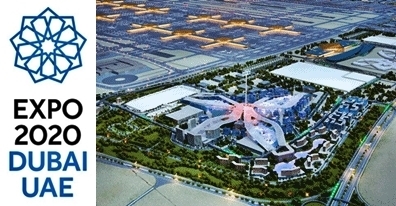 An exhibition district that will host the World Expo 2020 site, will be spread across 4.38 square kilometres dedicated to the exhibition, and meetings, incentives, conferences and exhibitions (MICE) industry.